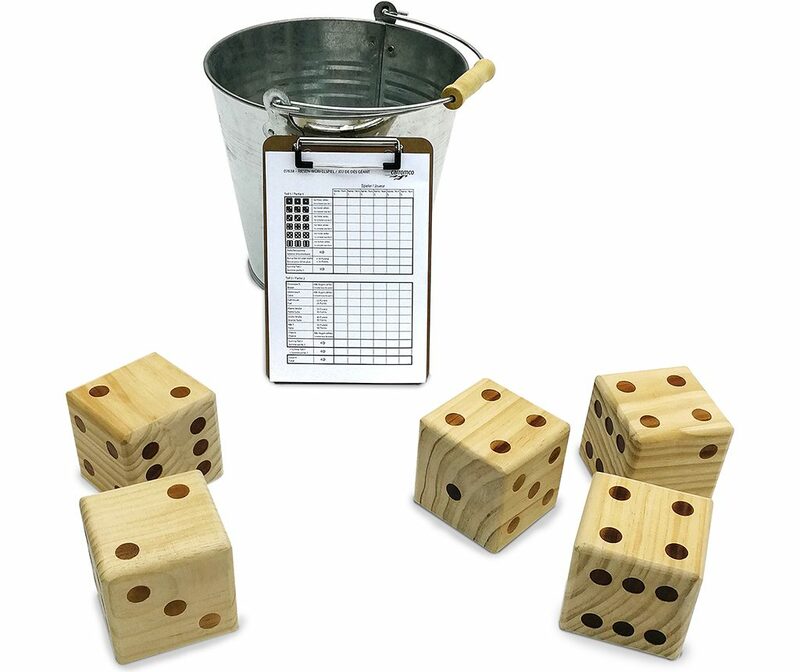 GIANT DICE GAME | Products | Carromco - License To Play! 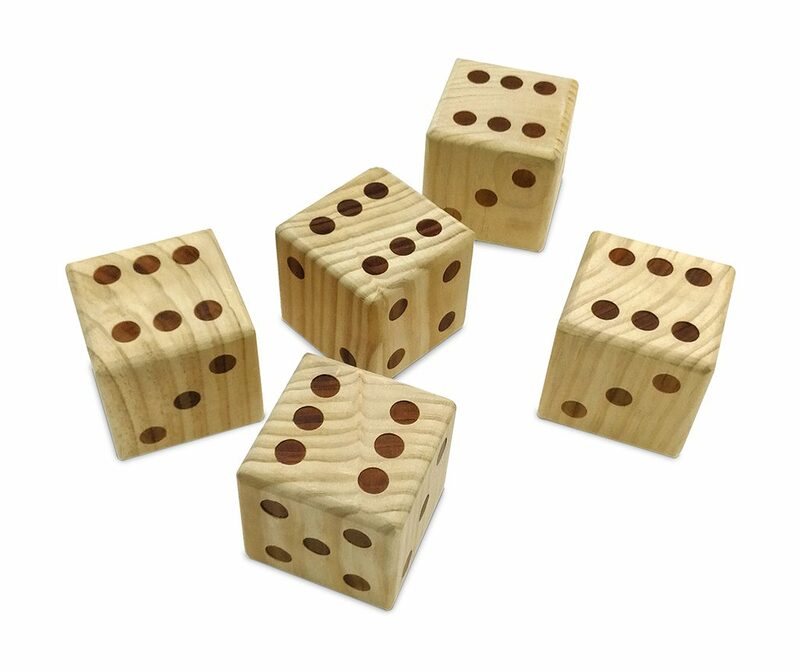 The all-time popular Dice Game as Garden Edition. 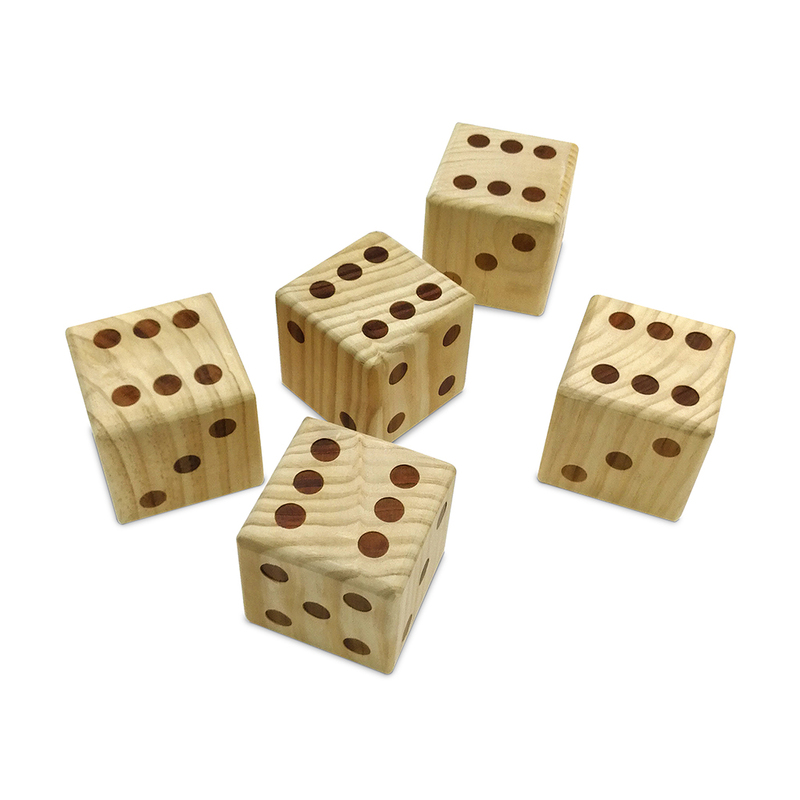 Including 5 wooden dices (7cm edge length) with hotstamping. 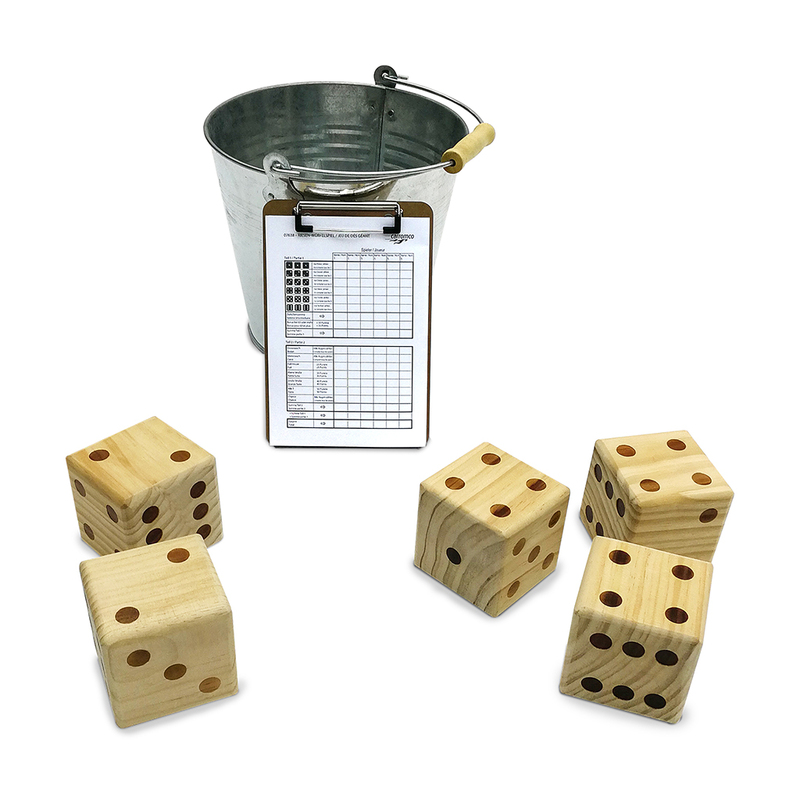 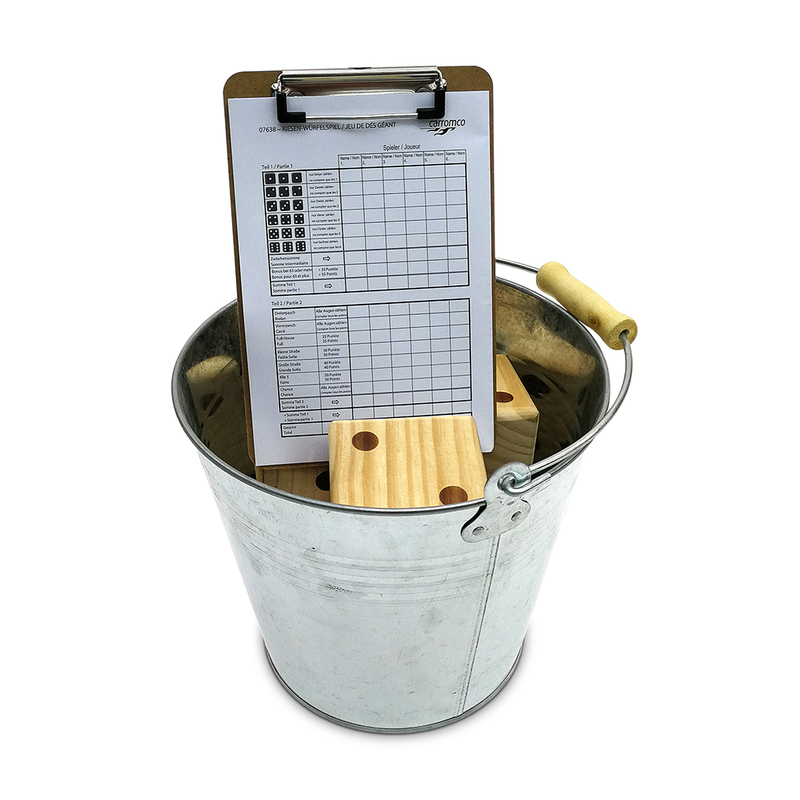 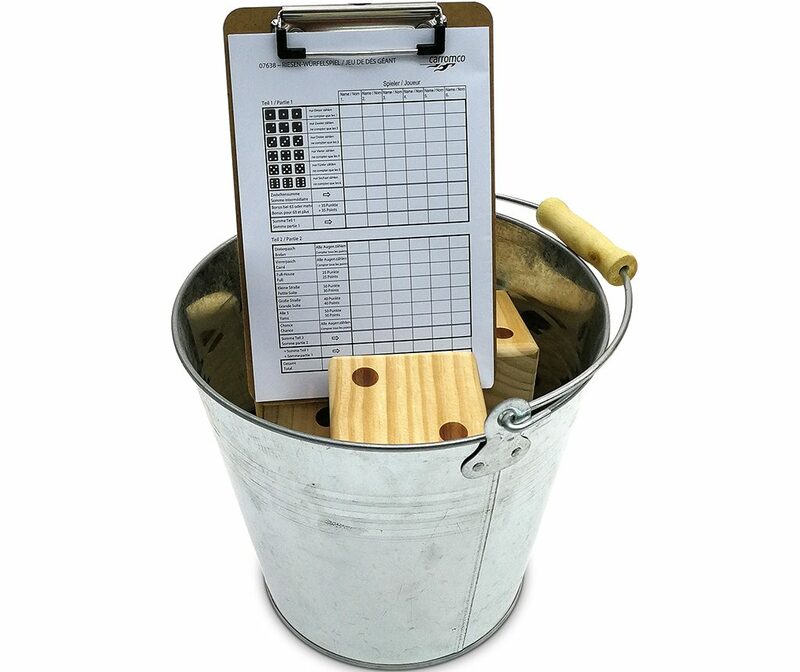 One bucket as a dice cup and a clipboard with 50 Scoresheets.